As good as it gets. 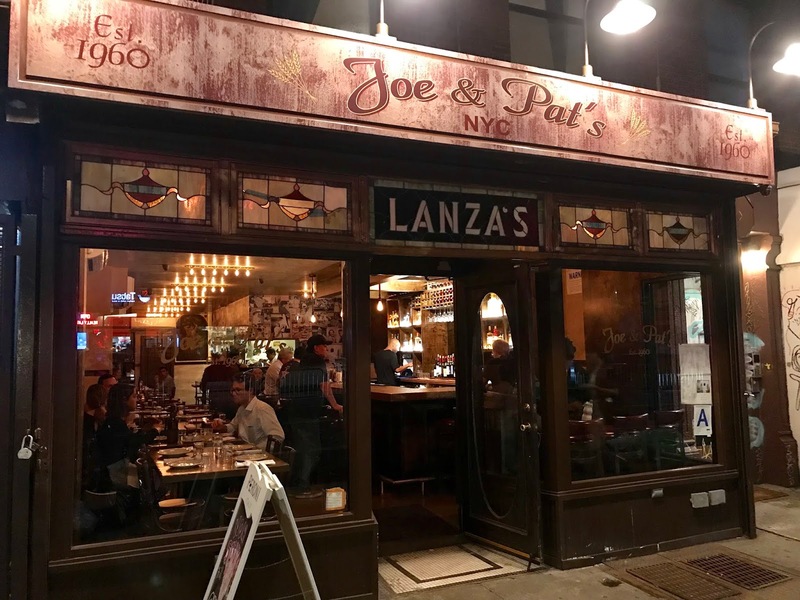 With the recent opening of Joe & Pat's in the East Village, one of Staten Island's greatest pizzerias also became one of Manhattan's greatest pizzerias. Since 1960, this institution has helped define New York style pizza with its large pies loaded with copious amounts of savory tomato sauce and creamy aged mozzarella melted from edge-to-shining-edge. 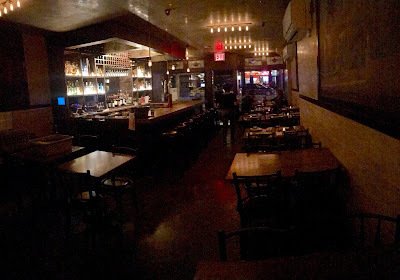 Now, thanks to this second location, Manhattan patrons don't need to travel across the New York harbor to get it. Defying physics, the perfectly uniform masterfully baked ultra thin, gas-powered oven crust supports the weight of the generous amounts of evenly distributed toppings. Order one more pizza than you think you'll need. With the thinness of the crust and perfection of the taste, you will be glad you did. I recommend getting one more traditional pizza like the time-tested 1960 Original and one more creative signature pie. The "Tri-Pie," for instance, combines tomato, pesto, and vodka sauces with fresh mozzarella in a way that is as appealing aesthetically as it is to your appetite. Embracing the hip East Village vibe of the new area, Joe & Pat's NYC offers a full bar and an ambiance great for groups as well as dates. They have thought of it all! If you haven't yet fallen in love with a pizzeria, give Joe & Pat's NYC a try and don't be surprised if it's love at first bite. 1. Matt Koff and I met in 2005 during pizza month (day 19 to be exact). Our paths have overlapped several times since and our shared love of comedy and pizza promise to keep the trend alive. 2. We all performed at Variety Underground immediately before grabbing pizza. LeMar McLean and I hosted the show while Matt Koff, Sarah Puls, and Robin Rothman did solo acts. I have slowly been cobbling together a stand up act and was thrilled to get up on stage and perform it today. I have a lot of room for improvement. 3. Sarah Puls knows more religious songs than you. 4. I am convinced LeMar McLean has seen more episodes of Suits than were created. 5. Robin Rothman's gave a flyer to a guy reaching for TimeOut New York on the street after pizza. Inside this issue is the full schedule for the 2018 New York International Fringe Festival including Trudy Carmichael Presents: The Improvised One-Woman Herstory! Check out the ad on top!